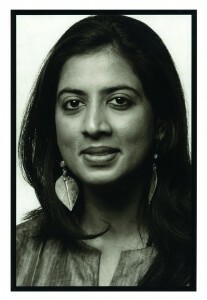 Arundhathi Subramaniam is an award-winning poet and writer on spirituality and culture. She mostly lives in Mumbai (a city she is perennially on the verge of leaving). She has published two books of poetry in Britain, Where I Live: New & Selected Poems and When God Is a Traveller, shortlisted for the T.S. Eliot Prize. Her poems explore life in a Third World megalopolis, myth, the politics of culture and gender, and the persistent trope of the existential journey. “This is writing that creeps up on the reader quietly, sometimes with just the whisper of a sari, or the taste of a lullaby, and yet spins suddenly on the edge of stark recognition” (Imtiaz Dharker).